Joe Beckman (b. 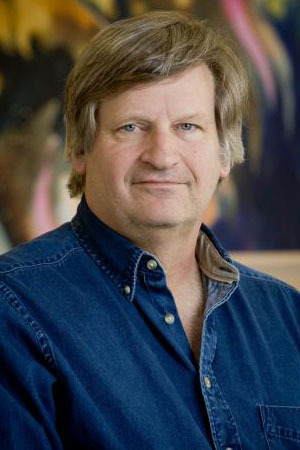 1953), a Distinguished Professor of Biochemistry and Biophysics, has been a Principal Investigator at the Linus Pauling Institute and a member of the OSU faculty since 2001. A leader in the study of neurodegeneration, Beckman has spent more than twenty years investigating the cause of, and searching for a cure for, amyotrophic lateral sclerosis (ALS, or Lou Gehrig's Disease). Since 2002, Beckman has also served as Director of OSU's Environmental Health Sciences Center, an organization that works to foster and promote research on the impact of the environment on human health. His interview focuses on his scientific education and military service; his breakthroughs researching neurodegenerative disease; promising new studies that may result in an effective treatment for ALS; and the institutional evolution of the Linus Pauling Institute, the Environmental Health Sciences Center, and OSU itself.